They say good things come in small packages, but in my case the best things come in large paper shopping bags. The first time it happened, three years ago, my dear friend Stephen Facey gave me a large shopping bag filled with the recipe collection of his late mother Olive. 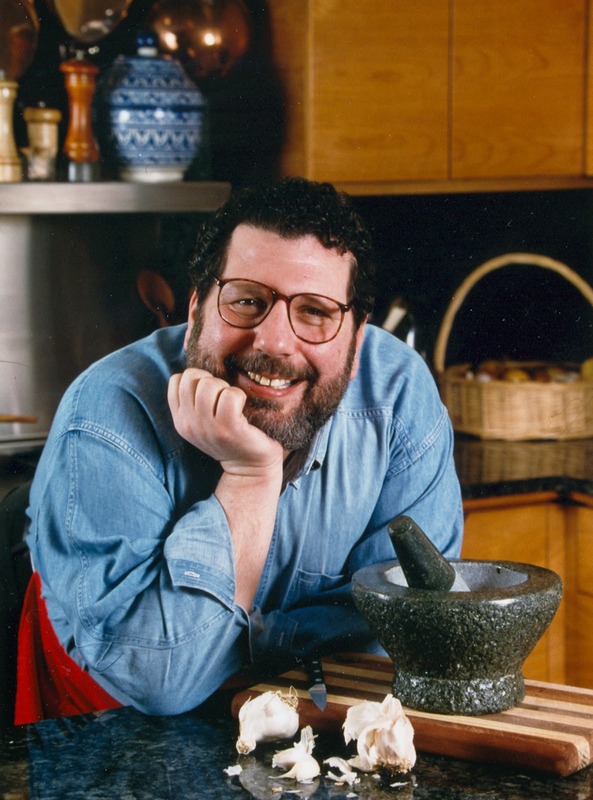 Then, just last week, the renowned food maven Arthur Schwartz handed me a large shopping bag filled with the letters and recipes sent in by listeners during the 13 years he hosted Food Talk, a daily radio show on WOR. 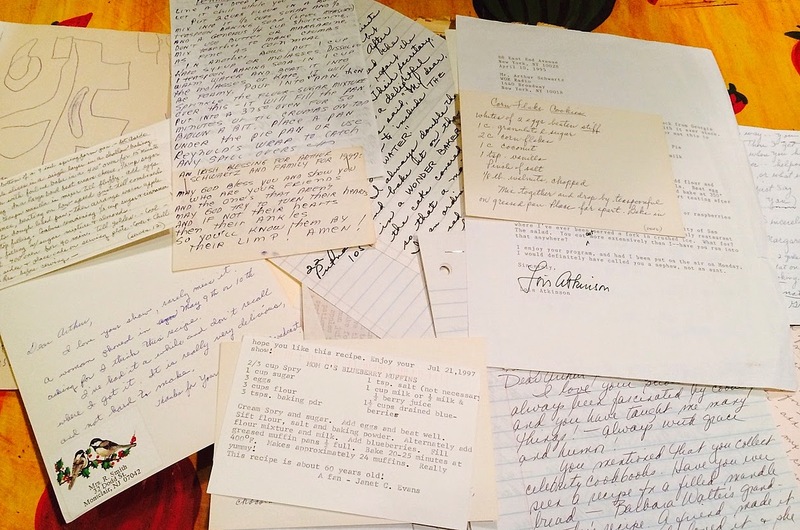 A small sampling of the cache is below, letters and recipes thoughtfully written on cards and stationery, as if to a close friend, and mailed the old-fashioned way, with nary an email missive among them. One listener wrote: "As an octogenarian, I wish to thank you for reviving in me holiday memories of my mother's kitchen. How she would have loved you! I will love you for her!" Another letter contains, in addition to a recipe, "An Irish prayer for Arthur and his family." For my first foray into this well-organized (thank you, Arturo!) collection, I chose a rice pudding sent in by Arlene Gerhab,who wrote: "I enjoy your WOR programs each day. Being Pennsylvania Dutch, we love to cook. 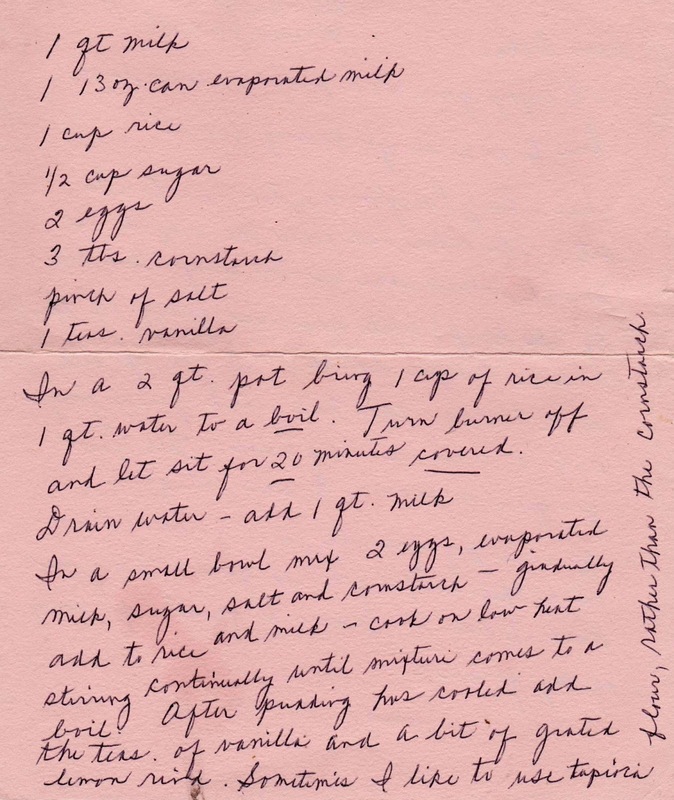 Here is my favorite rice pudding -- have used this recipe for 40 years. Everyone loves it and it's been a favorite of many of my friends." This is, hands down, the best rice pudding I've ever tasted. It has very little sugar, but you won't miss it. It's not the basic rice pudding the DH used to make when he worked in a deli on the Upper East Side (simply cook rice, milk, raisins and sugar together), but is well worth the extra effort. I made this twice (hence the "Two Ways" in the title of this post) because the first time, instead of concentrating on the recipe, I was texting a friend in the midst of a divorce, and didn't follow the method. See production notes at the end for details. 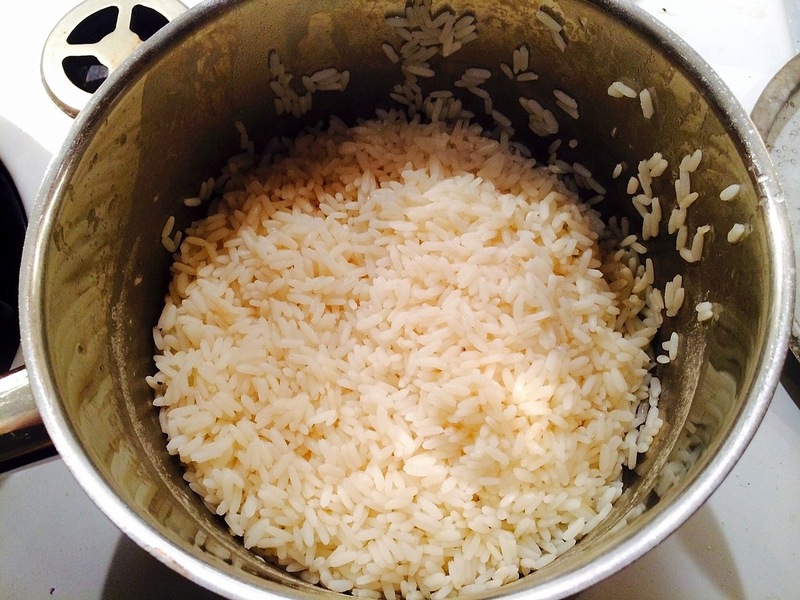 To do it right, start by boiling the rice in some water, and then drain it. Pour the whole milk into the rice. 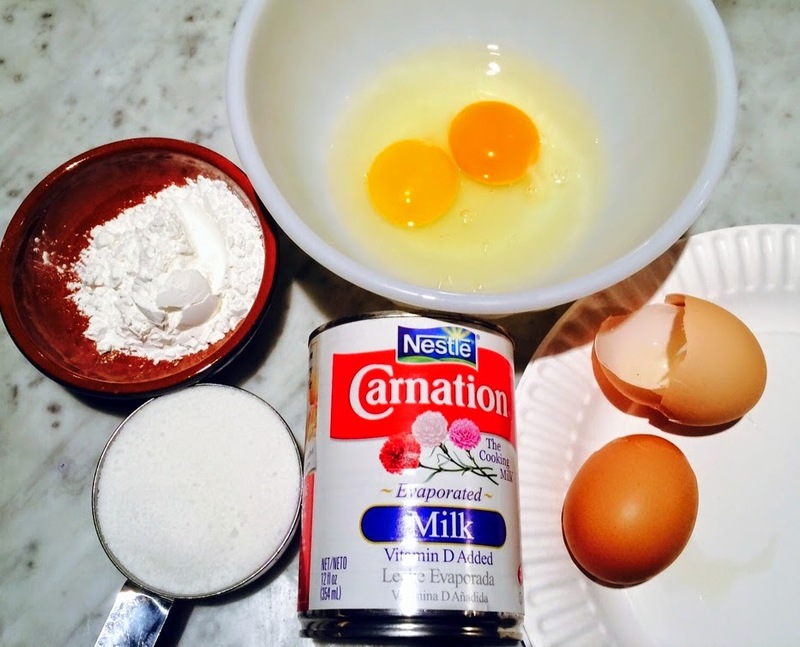 Mix together the eggs, sugar, cornstarch, salt and evaporated milk. 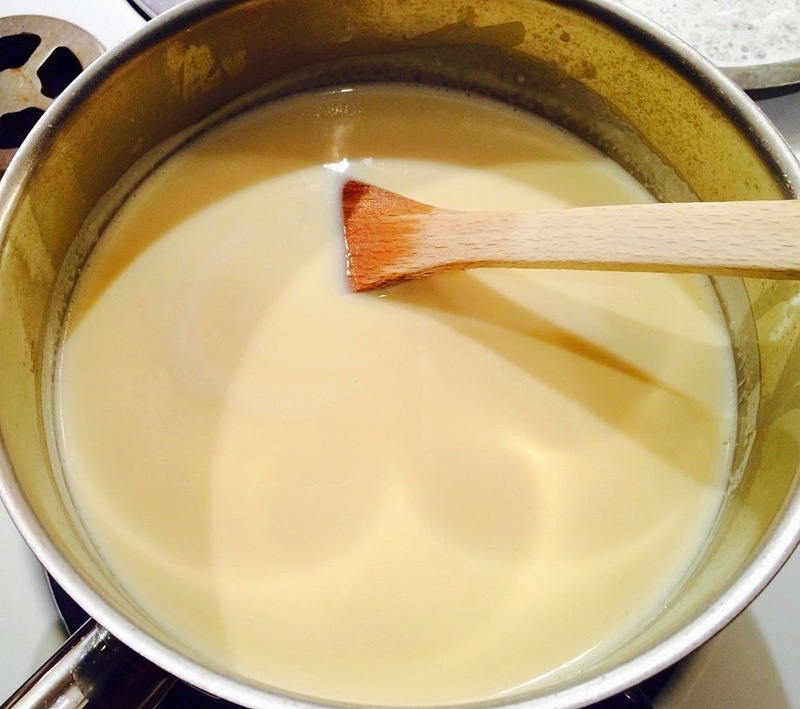 Add this mixture gradually to the rice and milk, and cook over low heat, stirring until it comes to a boil. The recipe is vague after this. 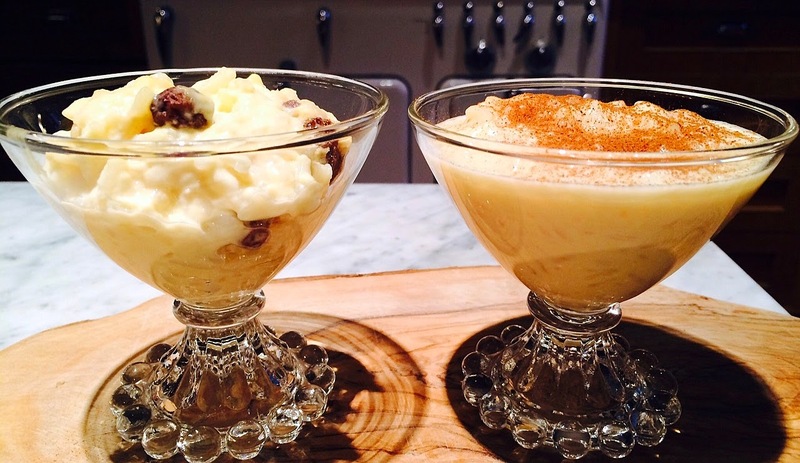 Keep cooking it if you prefer a firmer rice pudding. Below are the two versions. On the left is the "mistake" to which I later added cinnamon and raisins. The mistake was preferred by the DH. 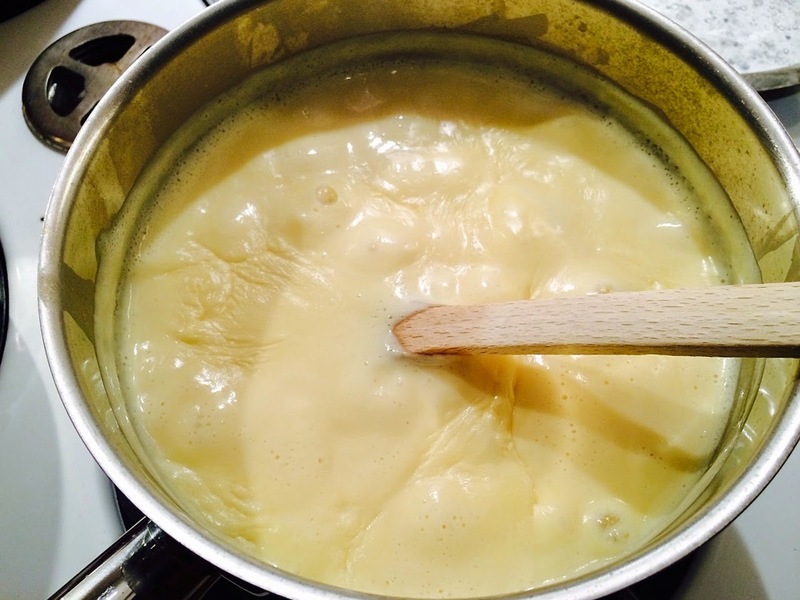 Rice pudding production notes: The first time I made this, I forgot to add the evaporated milk to the egg mixture, and just added to the pot after the other ingredients were in and cooking. I cooked it for a longer time after it came to a boil (as it was too liquid-y at that point) and it was delicious. The second time, when I followed the exact method, I didn't cook it as long (the instructions are vague), it came out much looser (creamier) which I prefer. If you like your pudding to hold together more, just cook it longer after it comes to a boil -- about 15 to 20 minutes total, I'd guess. Or longer if you like it even firmer. The consistency won't change dramatically when it cools. The recipe calls for a 13-ounce can of evaporated milk, but these days only 12-ounce cans are available -- it will work fine with the smaller amount. The vanilla and lemon zest add a nice flavor note. You can add raisins (or not) and a sprinkle of cinnamon makes for a nice presentation. In a two or three quart saucepan, bring one cup of rice and four cups of water to a boil. Drain the water and add one quart of milk. 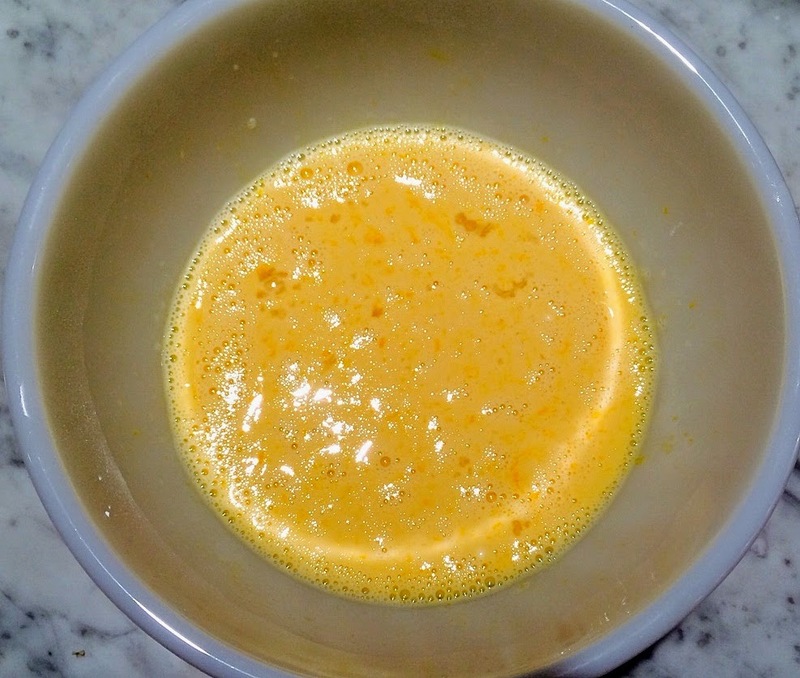 In a small bowl, combine eggs, evaporated milk, sugar, salt and cornstarch. Gradually add this mixture to the rice. Cook on low heat stirring constantly until it comes to a boil. Continue cooking until it reaches desired consistency.